Raja means “King”, while “Ampat” means four. According to the legend, eggs laid by a mega bird of Waigeo hatched into four fabled kings who settled the region’s four biggest islands from north to south; Waigeo, Salawati, Batanta, and Misool. 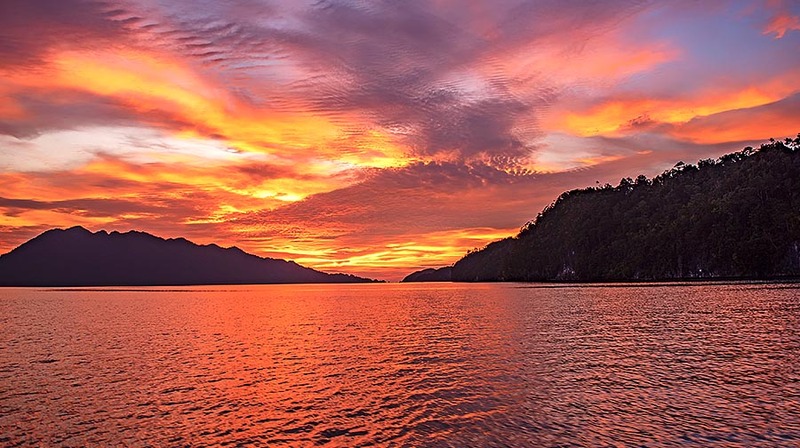 Among all of the wonderful Raja Ampat Islands, Waigeo is the largest of them all. 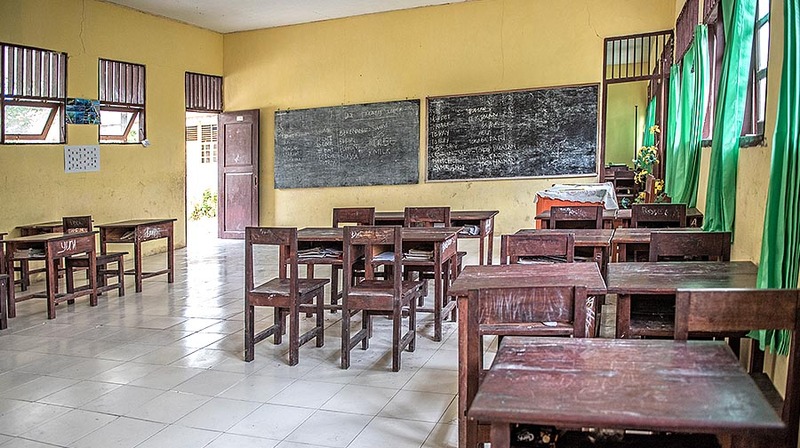 Waigeo is also known as Amberi, or Waigiu, located in the West Papua province near the town of Sorong. The island’s interior is largely virgin rainforest. 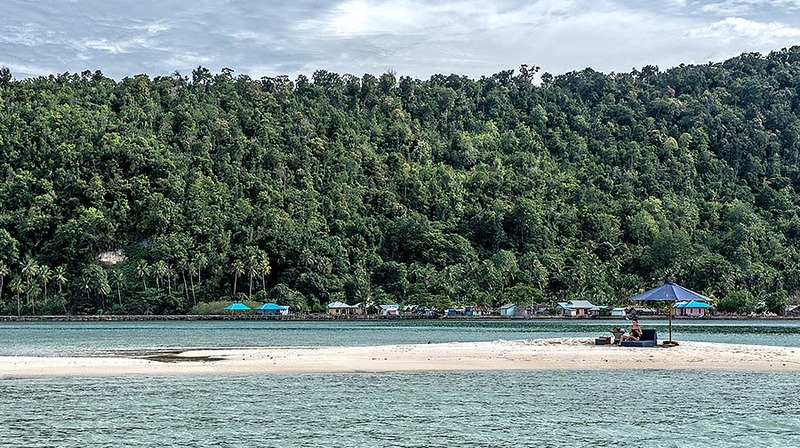 The forests are home to an incredible range of plant and animal life, with a biodiversity every bit as rich as Raja Ampat’s famed marine environments. 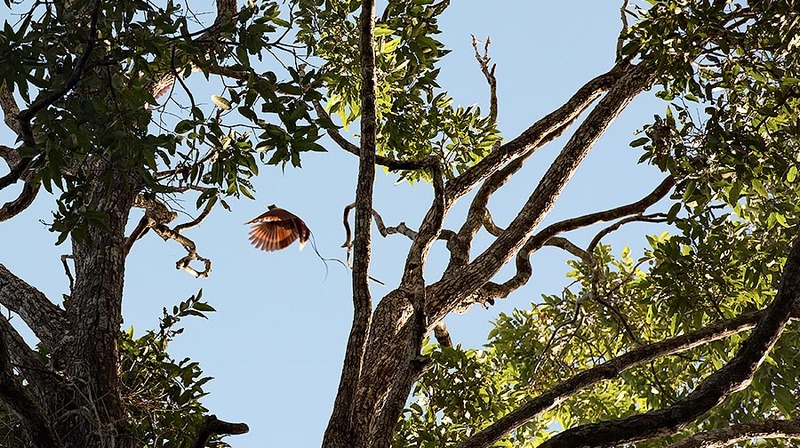 Waigeo’s tropical jungles are rich in birdlife and are a twitcher’s delight, being one of only two places in the world where you can see the iconic Bird of Paradise. There is a lot more to see in Waigeo’s forests. There are ancient cultural sites, unique mammals like the Waigeo Cuscus, and a host of fascinating reptiles and insect life. Large rivers wind through the lowlands and orchid-draped cloud forests cap the interior’s heights. Waigeo also offers interesting culture. 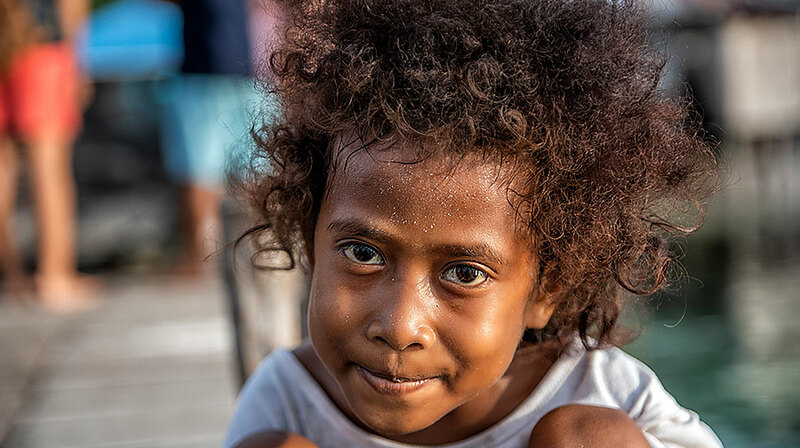 We learned some knowledge about local tribes of Raja Ampat are both fun and challenging. We would be able to learn the history, uniqueness, and traditions of those tribes. 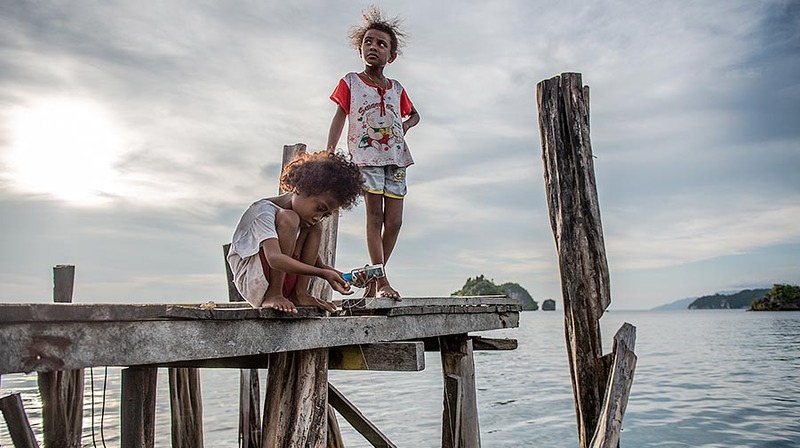 We met the friendliest people of the planet, 50,000 islanders, who live across 135 villages, which call Raja Ampat their home. We visited local tribes to witness ancient handicraft products such as Palm leaves weaving as well traditional celebratory dance routines. This activity is one of our commitments to support the local community. 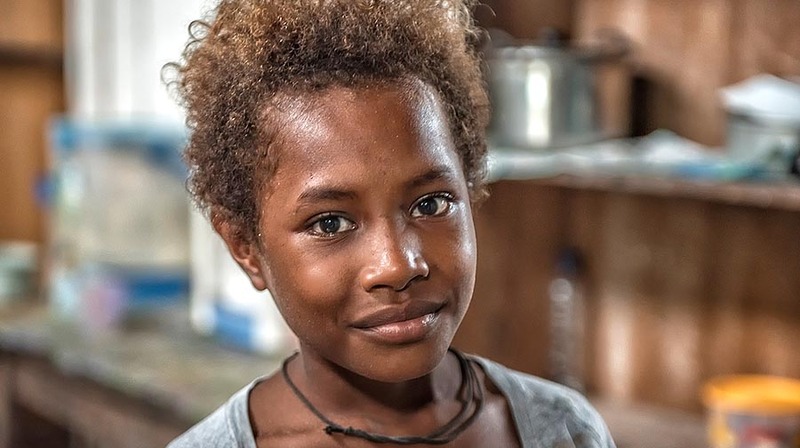 The children are exposed to the lifestyle of the local children to give them a sense for how happy one can be growing up without material possessions. There are a lot of lives in Friwin Island, both above and below water. We started our morning with scuba diving in Friwin Wall, which we continued to Mioskon Reefs in search for Wobbegong and next, Pak Otto the owner of a homestay in Friwin brought us around the village. Afterwards, we relaxed on a beach listened to waves crashing to the shores and a short trekking to see giant coconut crabs that live on the coconut tree. In Friwin Besar we met Ibu Olin, she likes to make ethnic earrings and sold her hand-craft earrings to tourist. She is really good at doing her job. We had a spa safari, cooking class with our chef and Mama Papua of our favorite menu on Sequoia. We ended our safari at central raja ampat with a beautiful romantic dinner on the beach. A beautiful beach setting heard the gentle waves and gazed at the Milky Way. The local Papuan sang and danced for us in their local songs. In the morning, we visited the Yen Beser Village. Chef brought us to a village and market tour to show us how local people live. We bought lobster and found local ingredients from a central distribution that can be used later to prepare a special dish back on Sequoia. Yen Beser is no take zone area in Raja Ampat, only local people can do fishing around this place. Using the Boston Whaler, we explored some of the narrow waterways that are home to some rare birds of paradise. The area is tidal with expansive mangrove areas broken up only by towering limestone cliffs. This is a perfect opportunity to take a kayak out for a paddle during your surface intervals. We began our morning adventure with waking up early to see the beautiful scenery of Saporkren Island. In Saporkren we did a trek in the jungle for a bird watching. We saw a group of Bird of Paradise “Cenderawasih” on the top of trees, Jalang Papua, Kuskus, and another wild animal. Despite the tiring trekking, it is worth the effort. In Saporkren, the kids ran along the beach played with kites and freesbie while the parents did a cooking class with the chef. A school of Dolphins swimming along the yacht bowline steering them to their destination. Also a great night dive in the jetty to see so many seahorses. We discovered Yanbuba Village, we saw a pretty little village at the end of the jetty and heard singing whispering through the air. We had a really good diving experience in the jetty in front of the village. Walking the long pier over clear waters and brightly colored fishing boats. The serene nuance and warm villagers welcomed us. The beauty is untouched and the environment is really beautiful. The location is near to the coast, coming with breezy wind and stunning beach views. We had a beach picnic and relaxing for a while. 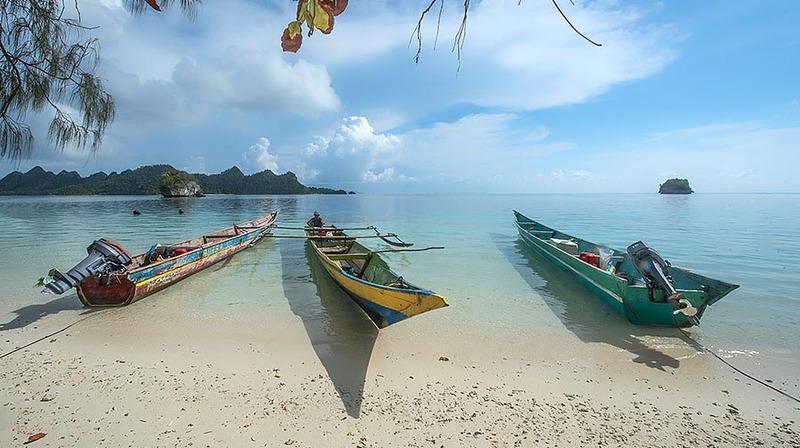 The main activities for local villagers of Yanwapnor are Fishing and working at the resort around Raja Ampat. They are so friendly and kindly allowed us to see their daily activities around the village. We experienced a traditional village where locals welcomed us with a traditional celebratory dance. We felt like a kid in the candy store, as we dove in Sawanderek Jetty dive site, hundred of schools of fishes is around. So friendly it seemed like they know us before. We saw schools of sweetlips, surgeonfish, fusilier, giant Napoleon, giant trevally, octopus, giant clamp, and tuturuga or giant turtle. We spotted Wobbegong Shark or carpet shark that is endemic to Raja Ampat. Arborek Village is part of the Indonesian government’s tourist village program. It is a pretty village that has small restaurants, shops, and a proper educational place. Village women have built a thriving local souvenir industry on Arborek: Noken (traditional Papuan woven string bags) and colorful manta ray shaped hats woven from dyed pandan are popular items. Cultural performances are frequently staged in the village. 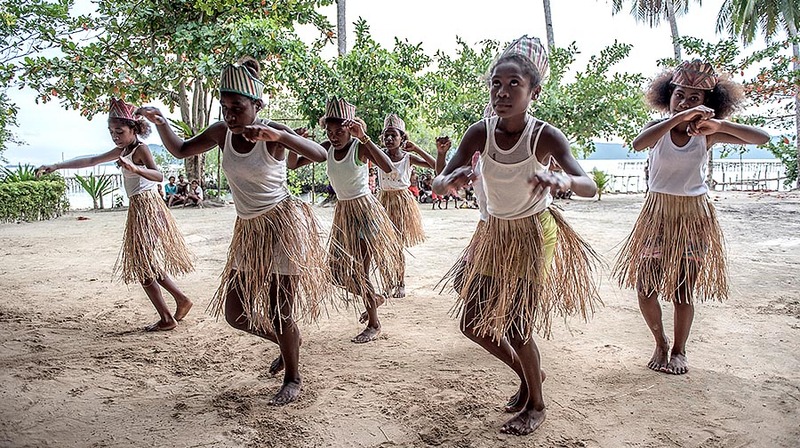 The Papuan music and dance add to the noise and color. It is a good place if you are visiting with children too, as there are calm, sandy beaches and plenty of local kids to play with. We met Omi and Rio, local kids from Arborek. They are really kind to show us around. A lot of fun beach activities can be done here – Snorkeling, Beach Picnic, Kayaking, SUP, Spa Safari. We spent time visiting villages. 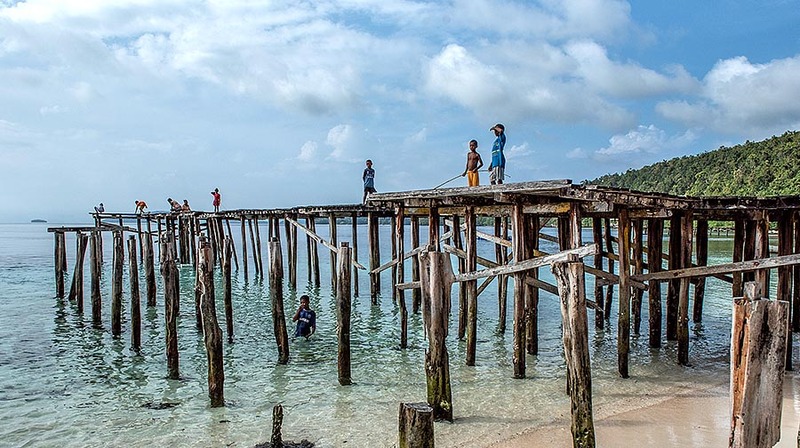 The interesting part of visiting this village is we saw local kids fishing around the jetty using a banana as a bait and surprisingly they caught numerous of fish. Local moms shared their family recipe where we spent our lunch in one of a local home. Afterwards, we went to see pearl farm in Aljui Bay. 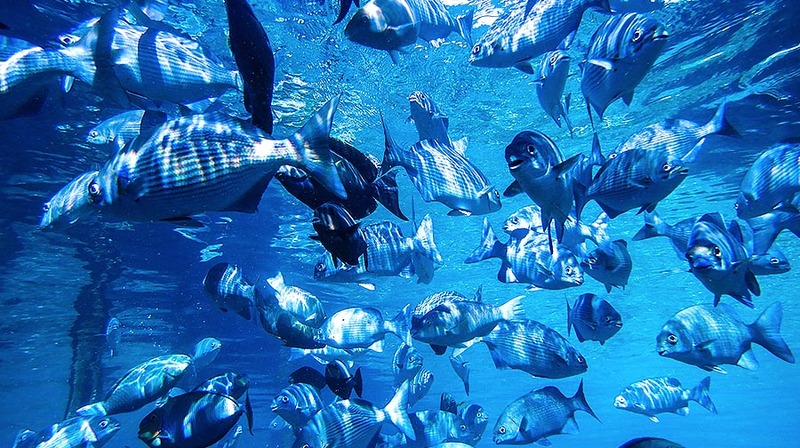 The fish and soft corals to be found around the pearl farm docks make them well worth exploring. The farm employee showed us how to grow farm and the process of making a beautiful pearl. We witnessed a beautiful equatorial sunset at the end of the day. In this region, we explored Wayag Island, which is famous for its Karst landscape. 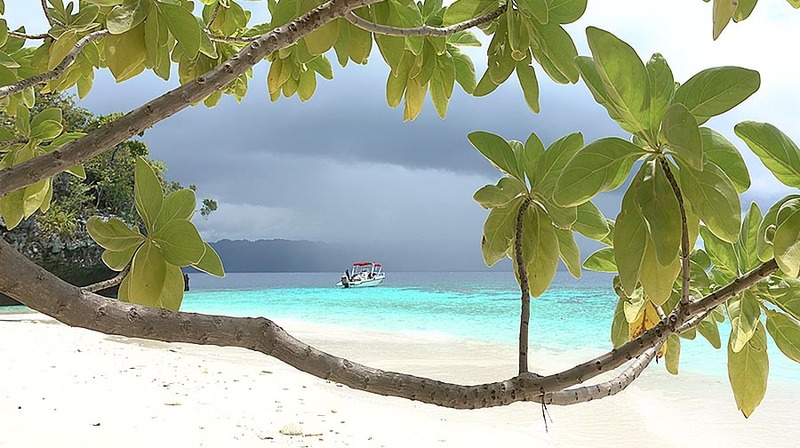 Wayag is located in the northest part of Raja Ampat and directly towards the Pacific ocean. Indonesian government placing several rangers to protect marine areas in order to avoid illegal fishing. Our first adventure was scuba diving at a dive site called Figure 8. Figure 8 has steep walls where we looked for nudibranchs and moray eels. A big school of sweetlips hangs out under a deep overhang on one side of the island and we dove amongst schools of redtooth triggerfish and surgeonfish on a large rocky platform with multi-colored ‘broccoli’ corals and swam towards large fields of potato corals. Stand-up paddleboarding navigated turquoise lagoons of Wayag. We explored a chain of small islands. As we paddle, we heard the gentle sounds of nature from birds singing to dancing fish. We observed birds and wild plants such as pitcher plants and orchids. Swimming with baby sharks is one of the highlights of visiting Wayag. Images were taken by Nala Rinaldo.